Welcome to MikeandTheMouse: MyMagic+: Memory Maker now available! The latest MyMagic+ enabled product, Memory Maker, is now available to guests. When taking photos with a Disney PhotoPass Photographer, Guests will associate their photos by touching a MagicBand or Memory Maker card to a device that the photographer uses. For attraction photos, Guests will link their photos at the counter with the help of a Cast Member. Guests also can download photos from any Family & Friend connections in My Disney Experience. For each Memory Maker purchase, Guests can collect photos during a 30-day window. Online or over the phone prior to arriving at the Walt Disney World Resort, either as a standalone product or as part of a vacation package. 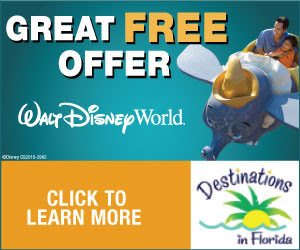 Prior to arriving onsite, from approved Walt Disney World ticket sellers. At a variety of merchandise and Disney PhotoPass Sales locations at our theme parks and Downtown Disney and at each one of the Walt Disney World Resort hotels. Disney PhotoPass+ will no longer being sold, as Memory Maker will replace it. For Guests who have already pre-purchased Disney PhotoPass+, they will have the option to keep that product, or return the product and purchase Memory Maker.